Today (October 23) is International Snow Leopard Day, a global observance commemorating the signing of the Bishkek Declaration on the conservation of snow leopards in 2013. 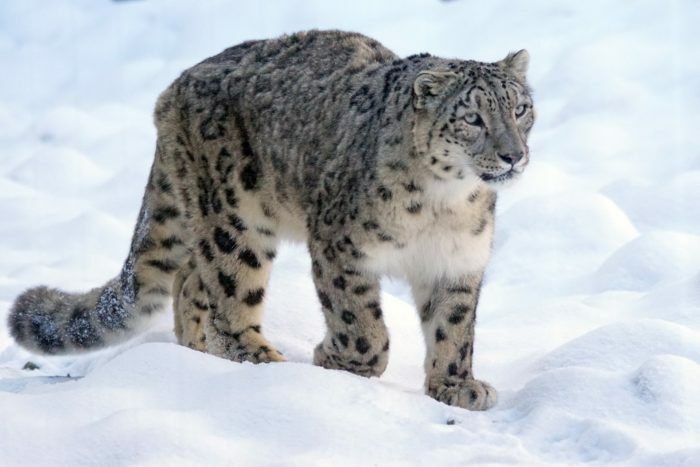 The snow leopard has been listed on the IUCN Red List as ‘Endangered’ since 1986, although it recently had its threat status downgraded to ‘Vulnerable’. Despite this shift, snow leopards remain threatened by the same consumer demand which is driving the poaching and trafficking of tigers and leopards across Asia. Its skins are used for luxury home décor, as rugs, seat covers and taxidermy specimens. Bones are used in traditional Chinese medicine products, including well-known Chinese brands that have been seized and tested in Australia, while teeth are sold as increasingly expensive jewellery items. Records are incomplete but the body parts of at least 270 snow leopards have been seized since 2000 and hundreds more seen observed for sale. 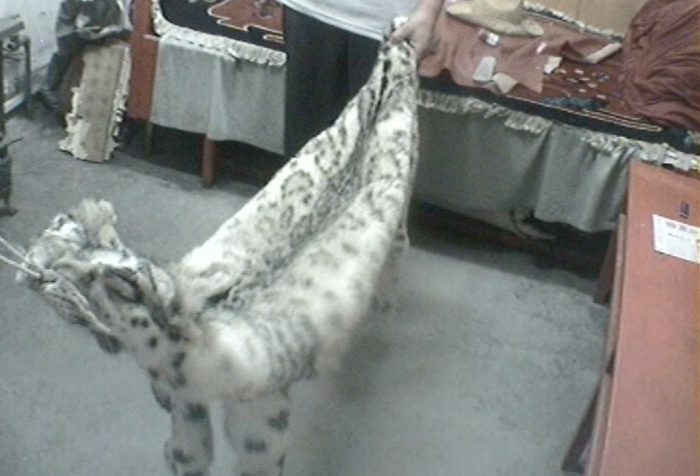 Snow leopard skins have been among the assets seized in anti-corruption cases in China. 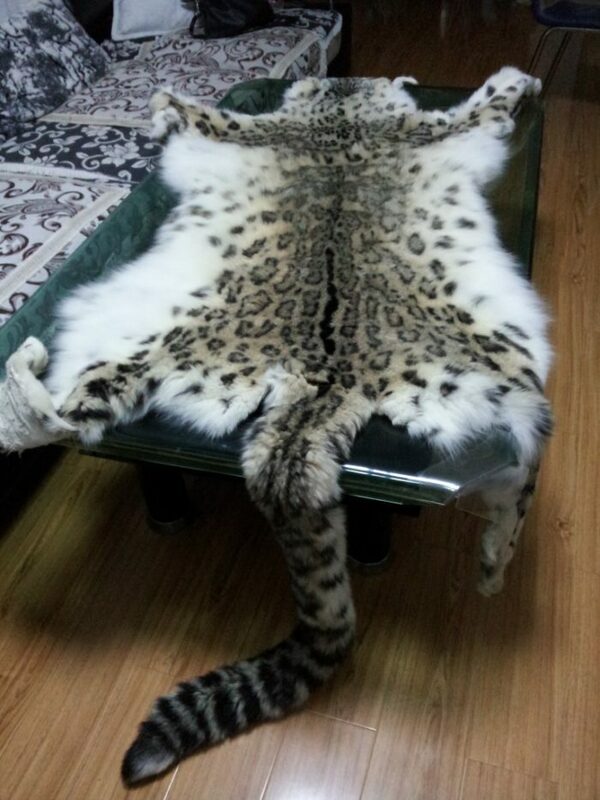 Organised criminal networks are still involved in the trafficking of snow leopard parts and only last October, the skins of 20 snow leopards and snow leopard meat were seized in a single consignment along with two tiger skins, two leopard skins and other illegal wildlife parts in Lhasa. While tiger skins, bones and teeth are bought by China’s business, political and military elite, snow leopard parts are much more affordable to middle income buyers. There is an urgent need for China’s leadership to issue a strong message of zero tolerance against any trade, in any Asian big cat parts and products, including from captive-bred specimens. You can find more information on snow leopards in trade and explore EIA’s interactive map of illegal trade seizures here.